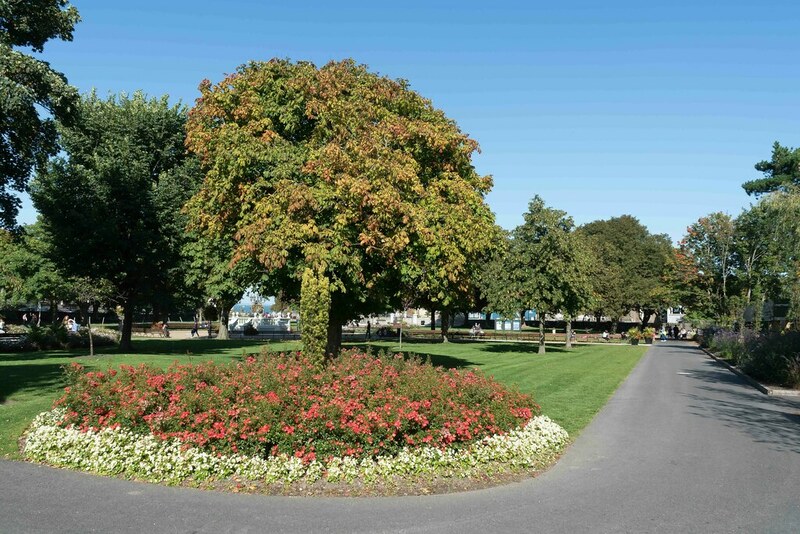 The People’ s Park is near Dún Laoghaire town centre, between Glasthule and the Seafront. It was developed by the then Kingstown Town Commissioners towards the end of the 19th century in the formal Victorian style. It was enclosed by wrought iron railings and gates with the most prominent entrances off George”s Street and Queen”s Road. 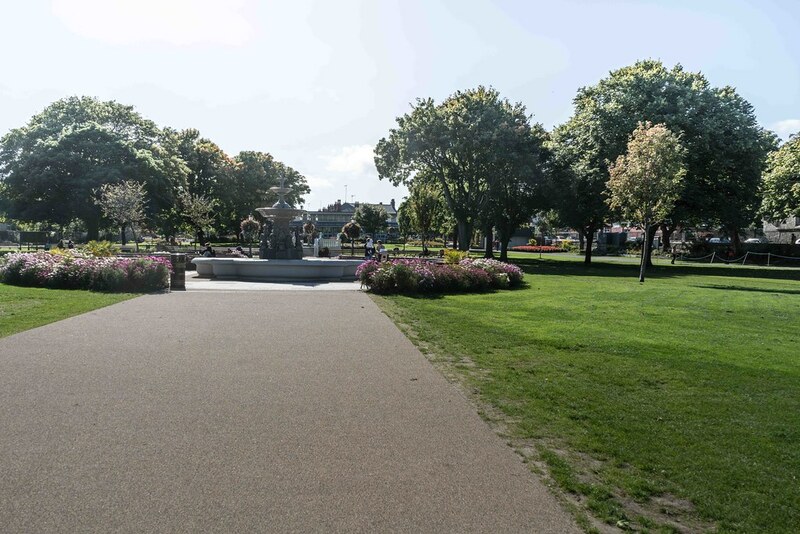 The restrained Victorian park layout had been compromised over the years as a result of a proliferation of extra pathways and insensitive interventions. 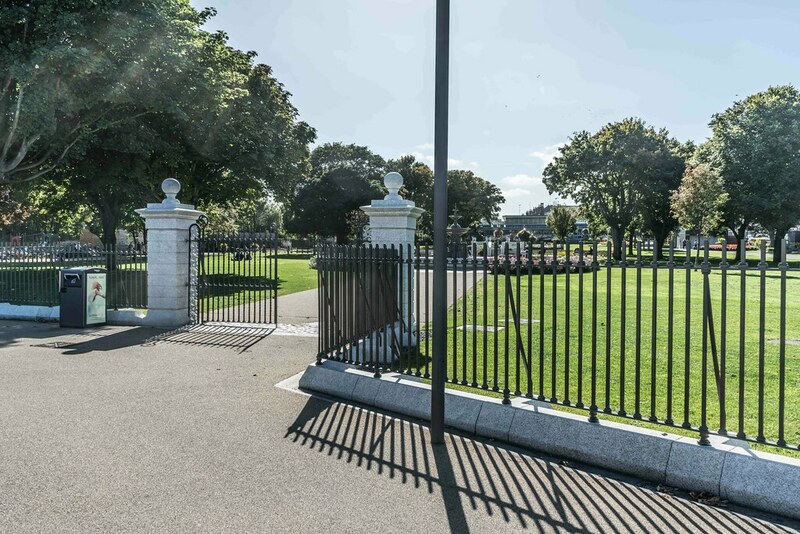 In 2014, Dún Laoghaire – Rathdown County Council completed an extensive refurbishment of the park to restore its original Victorian layout as well as introduce contemporary interventions to upgrade the park for the 21st century. 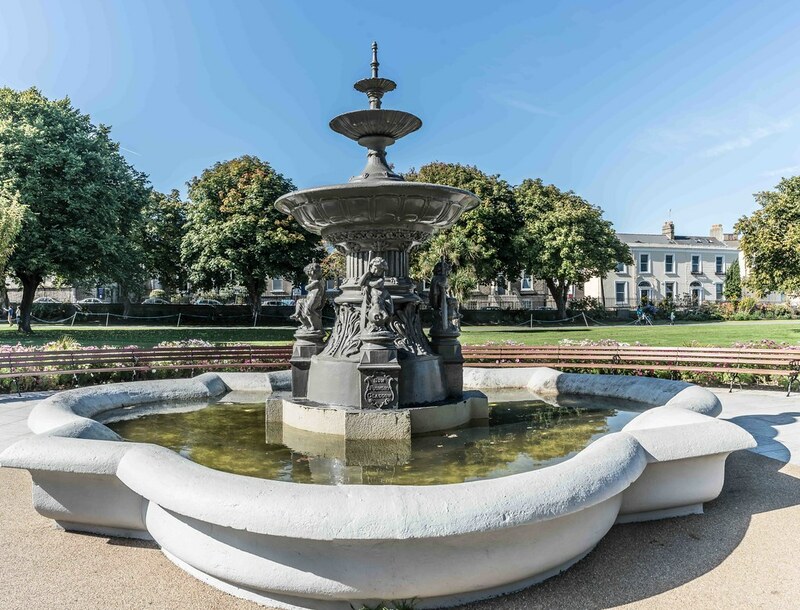 This vision included a new circulation network with widened paths, restored existing seating and playground as well as additional grass lawns and horticultural bedding displays. 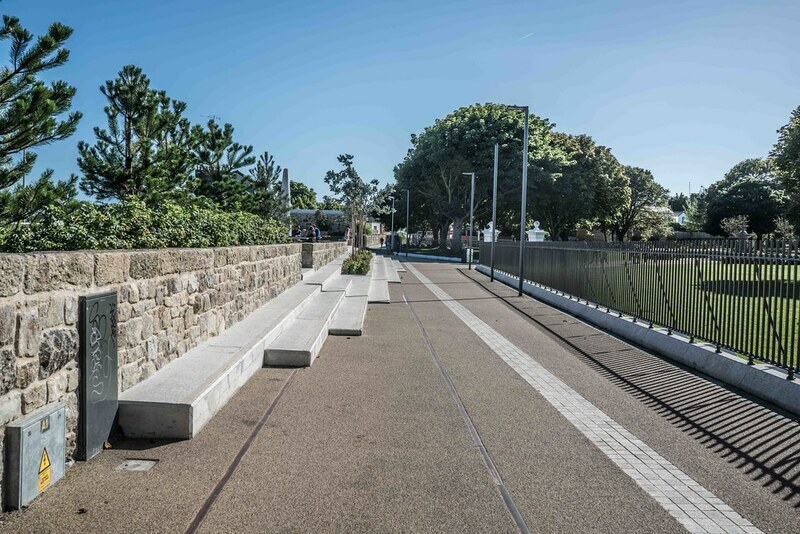 In addition, an area of new public space has been reclaimed where the DART line once cut the park off from the seafront. 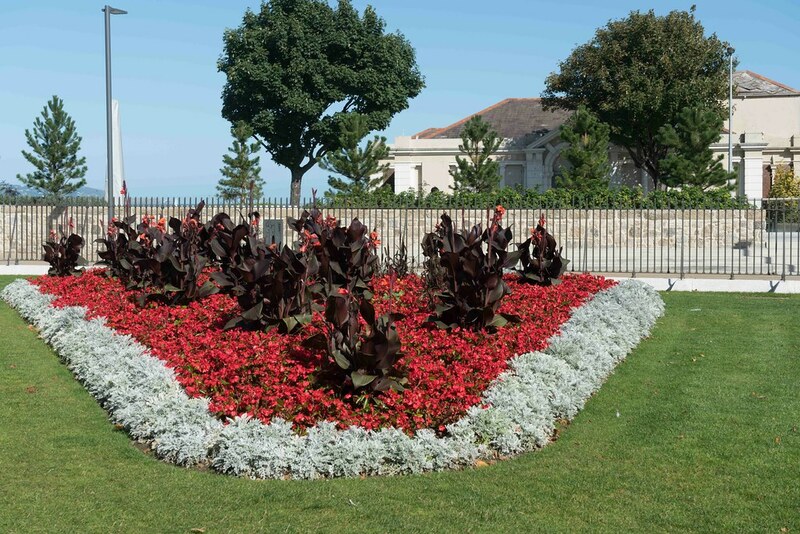 This area has been conceived as a raised promenade with prominent views over the park and the coastline. 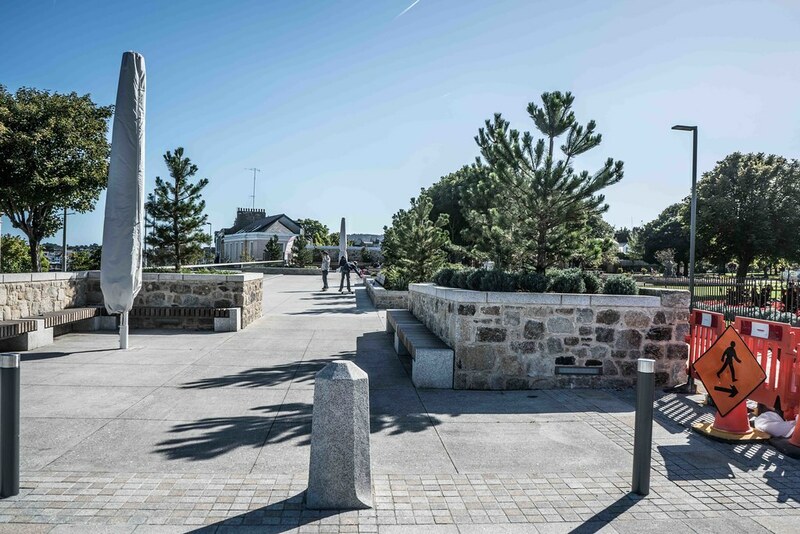 The Raised Promenade forms a new public amenity space which contains generous bespoke seating, picnic table and coastal trees & planting providing a place for rest, relaxation, viewing and events. Its close proximity to the sea in an exposed location meant that all details of the design were thoroughly resolved and detailed to be robust yet elegant.